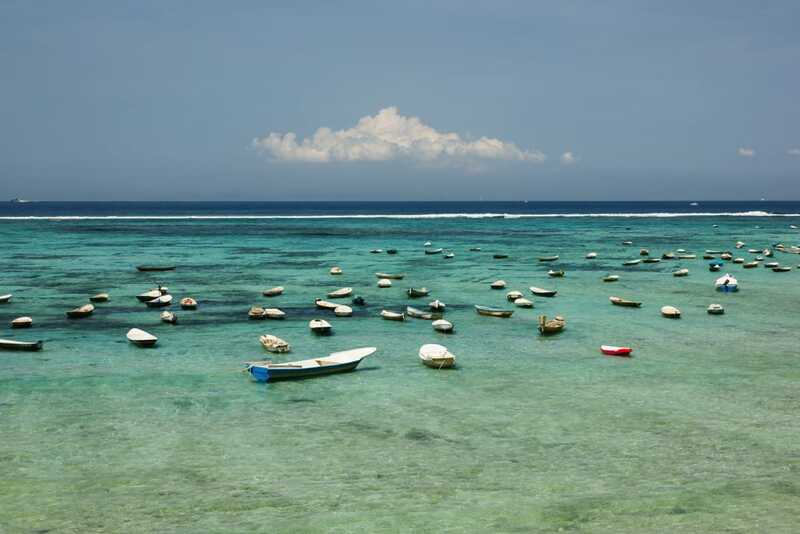 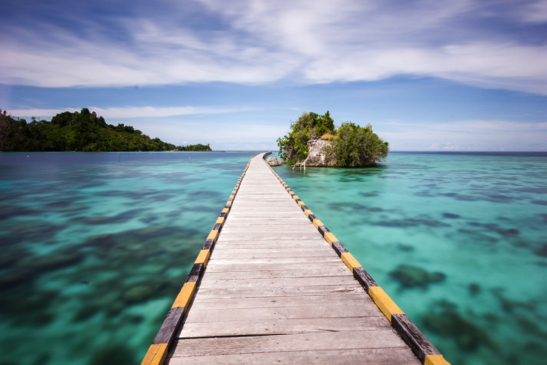 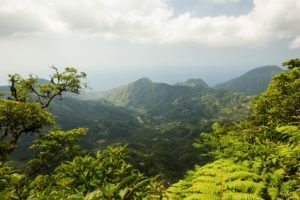 Bali stands as the Hindu stronghold in the Indonesian archipelago. 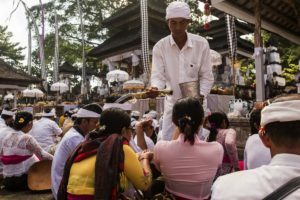 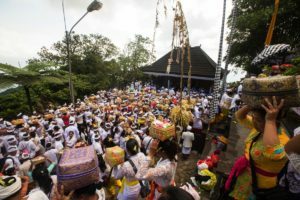 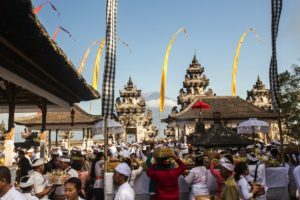 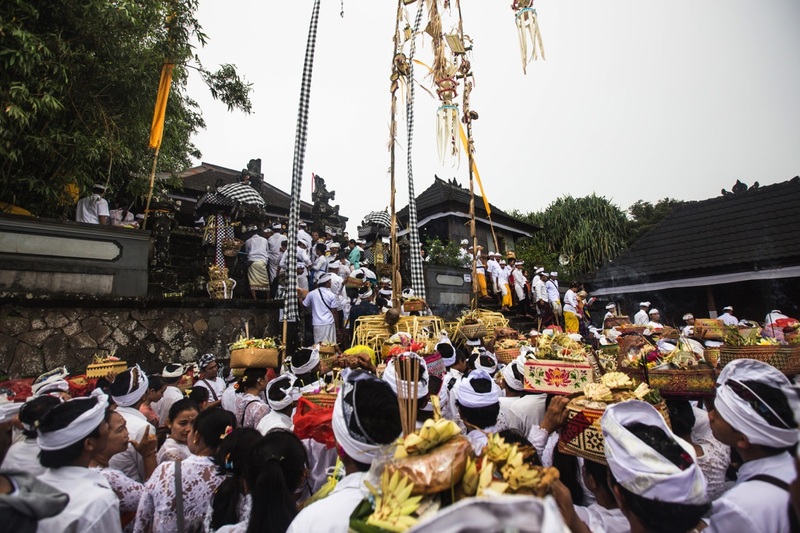 Religion has a great importance in Balinese society and culture. 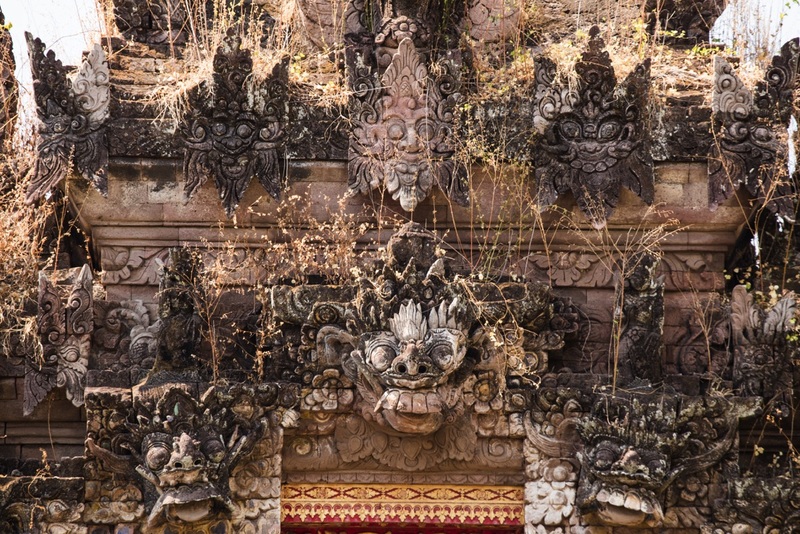 This is reflected in the thousands of temple (or Pura) covering the islands. 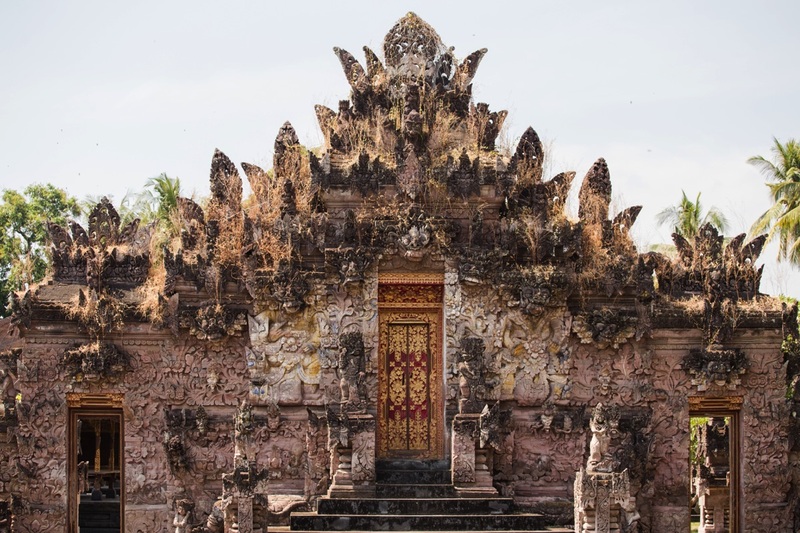 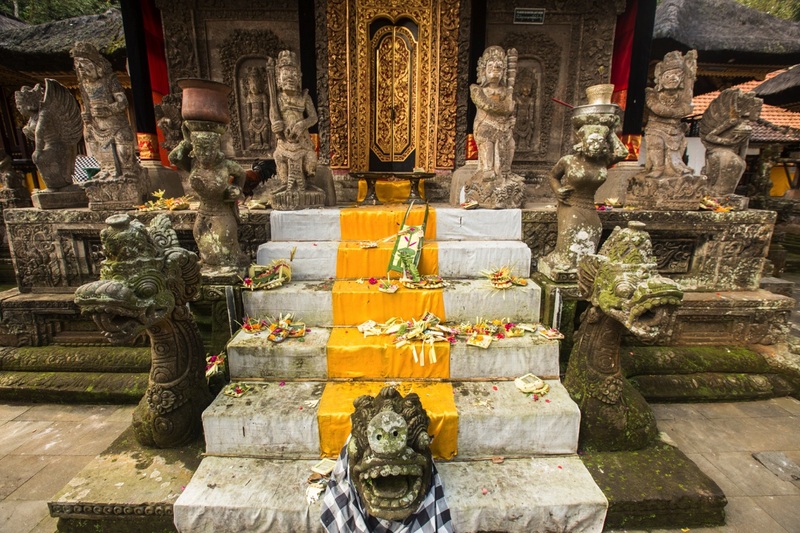 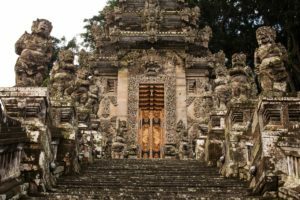 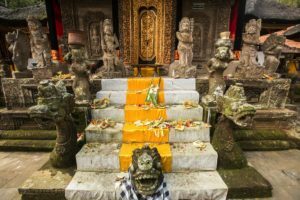 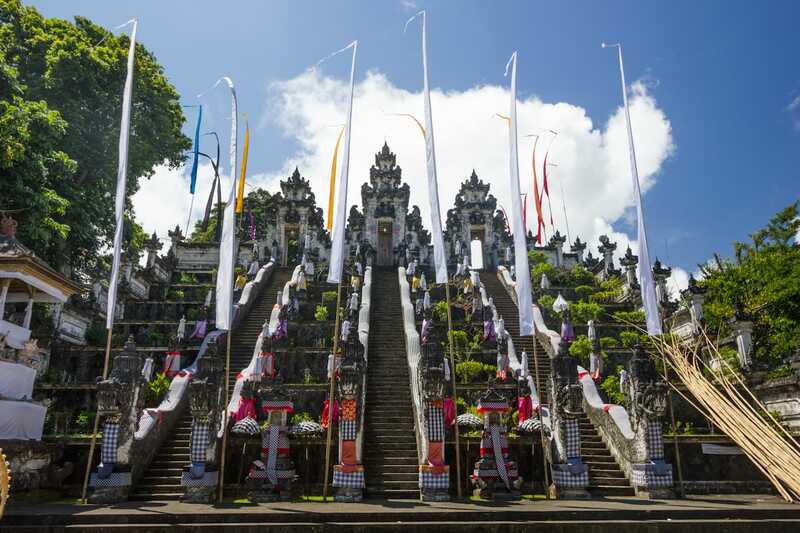 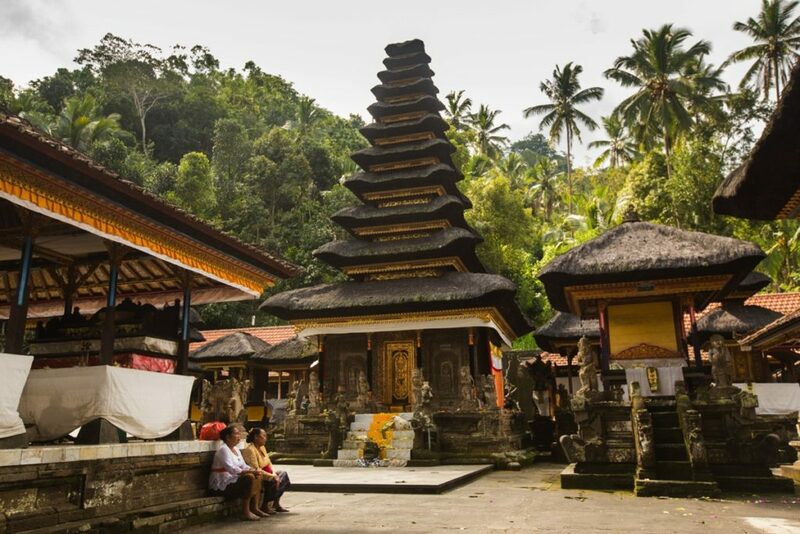 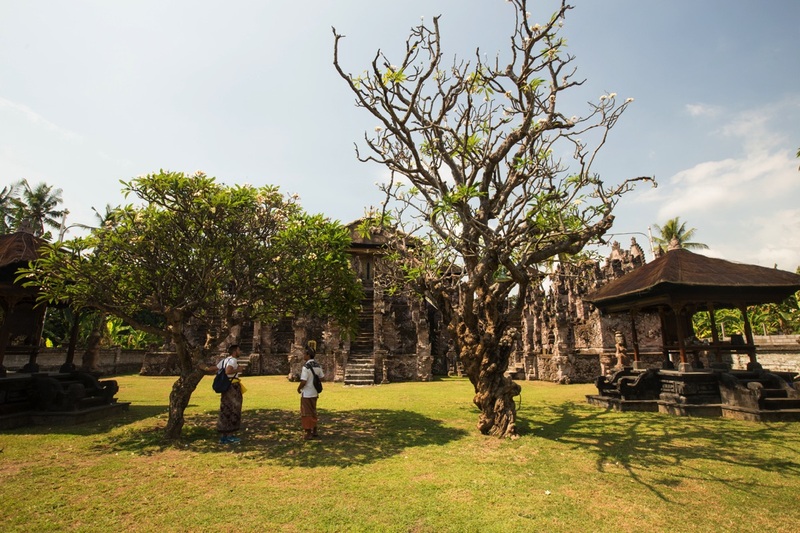 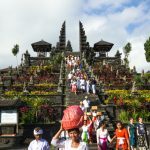 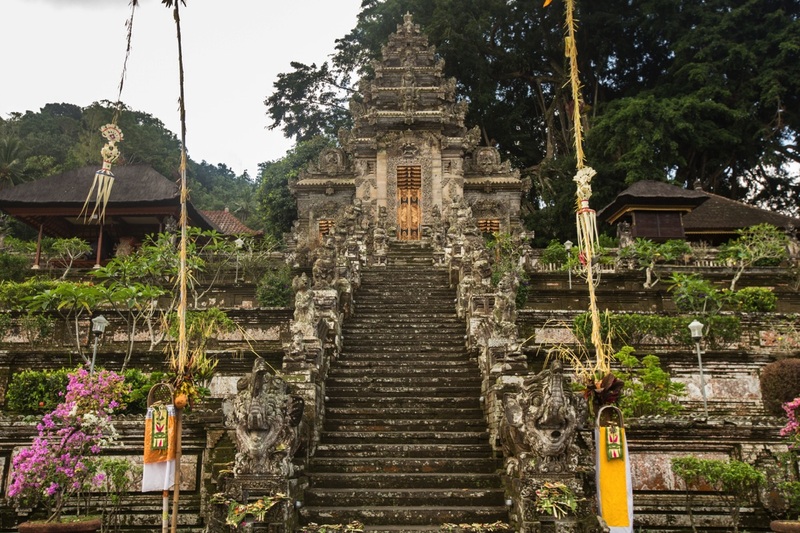 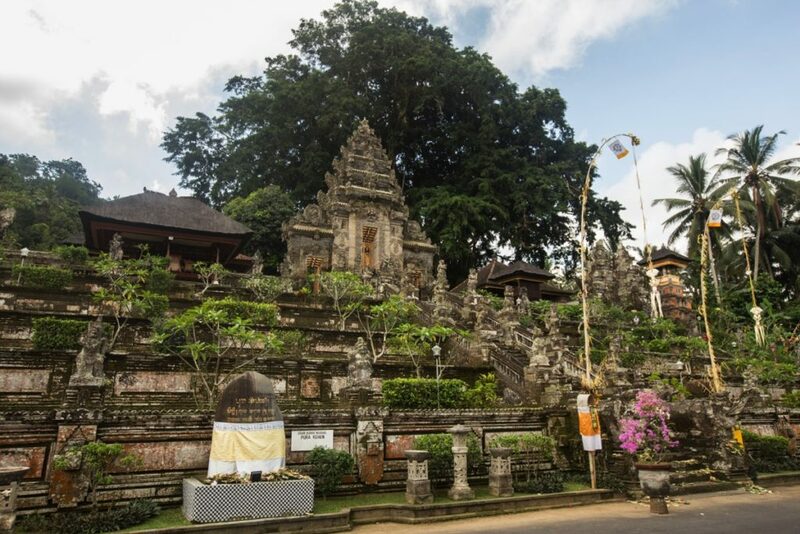 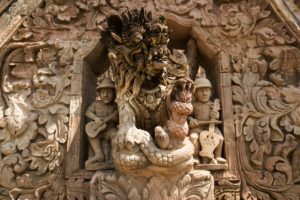 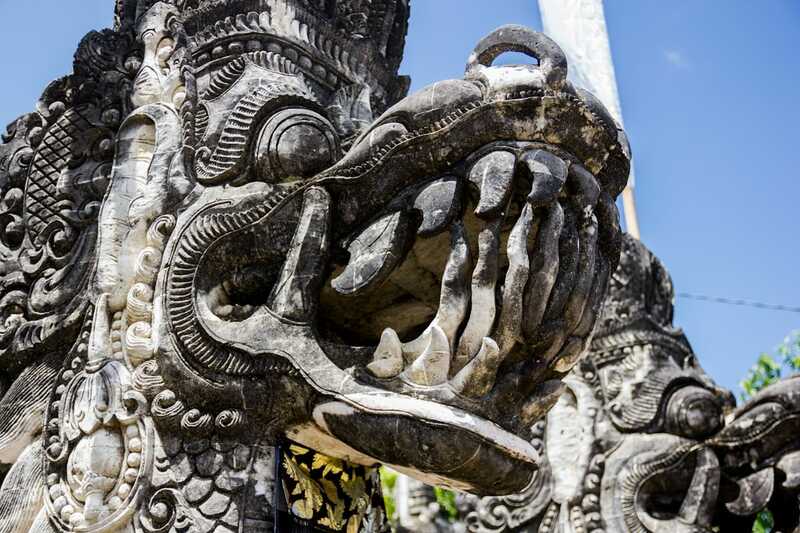 Temples are a great place to experience both Balinese architecture and spirituality. You’ll have to wear a sarung to enter any temple. 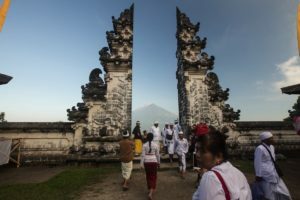 You can either rent it each time at the entrance (5-10kRp) or buy your own in any tourist shop or stall in the island (avoid hawkers next to temples if you wanna pay a better price). 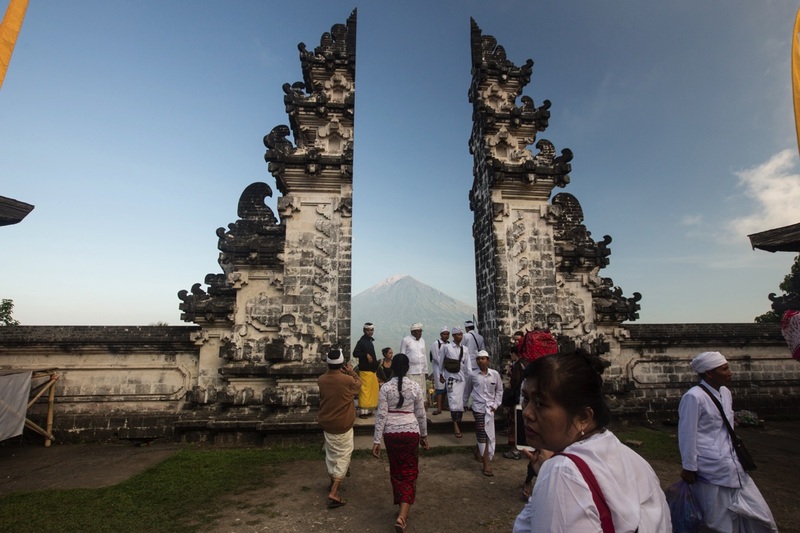 Quite often, some parts of the religious compounds will be forbidden to tourist. 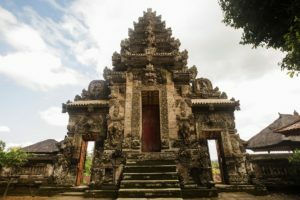 You can watch from the outside but not come inside. 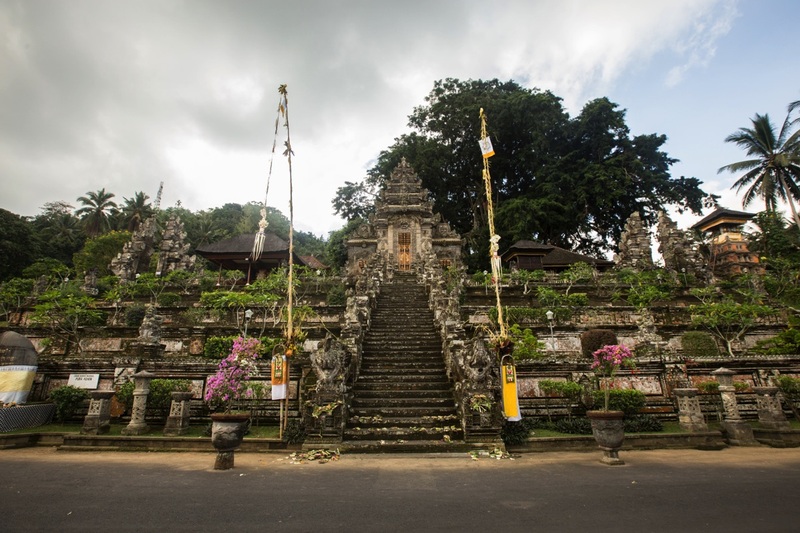 A beautiful and calm temple built on a moutain facing mount Agung. 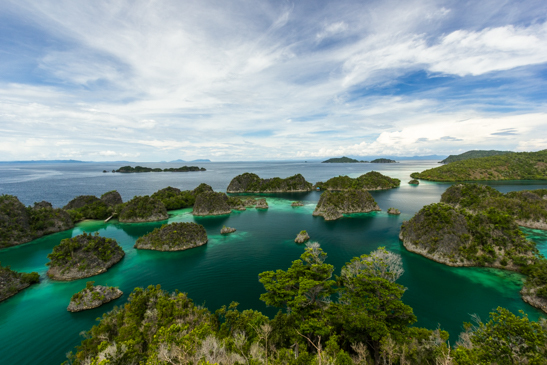 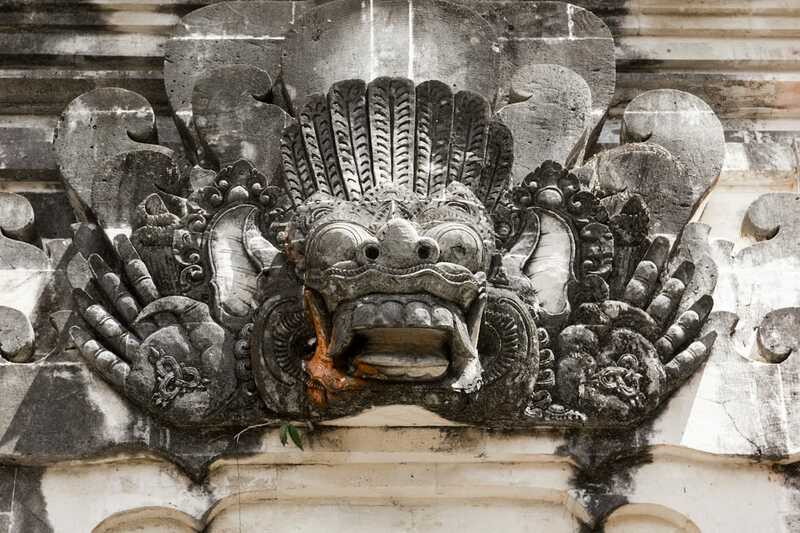 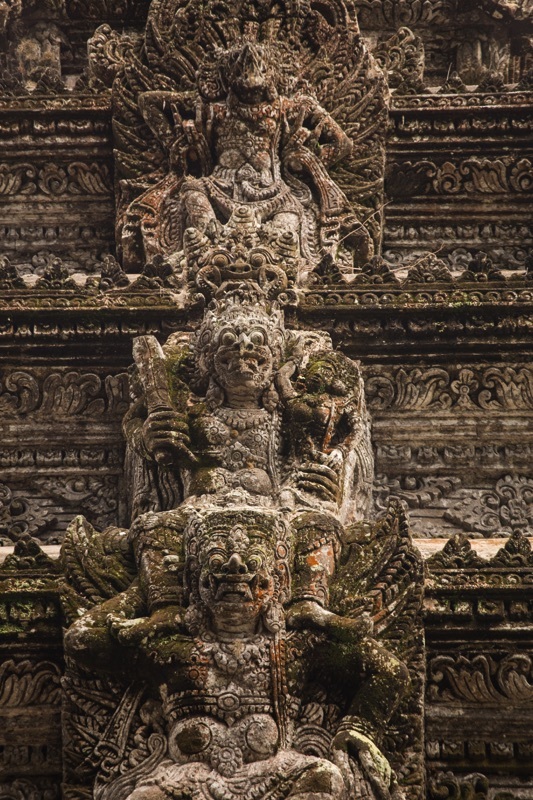 According to the Balinese mythology, the young Earth was once very unstable and Bali suffered from daily earthquakes. 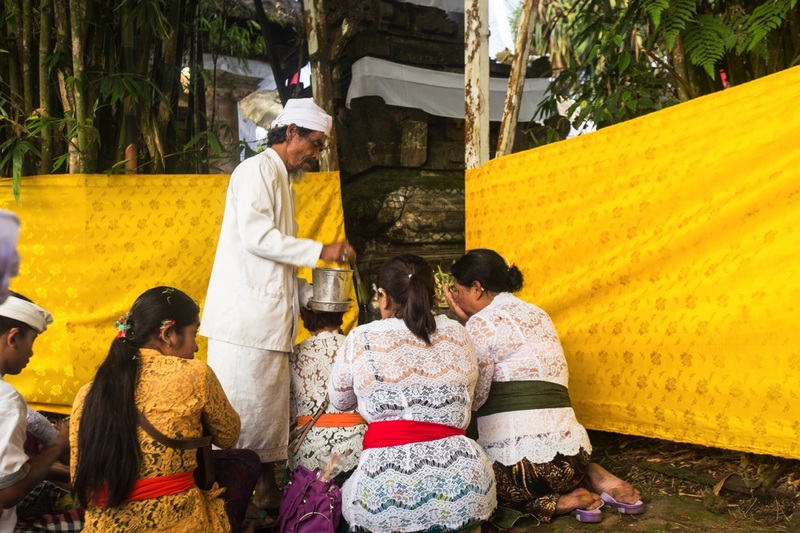 The God Pacupati who stays on Mount Semeru in East Java mandated his three children to stabilize the island. 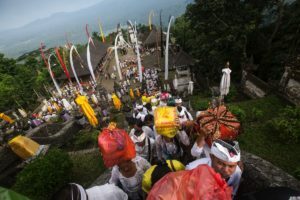 Hyang Putra Jaya went to Mount Agung, Dewi Danu to Mount Batur and Hyang Gni Jaya to Mount Lempuyang. 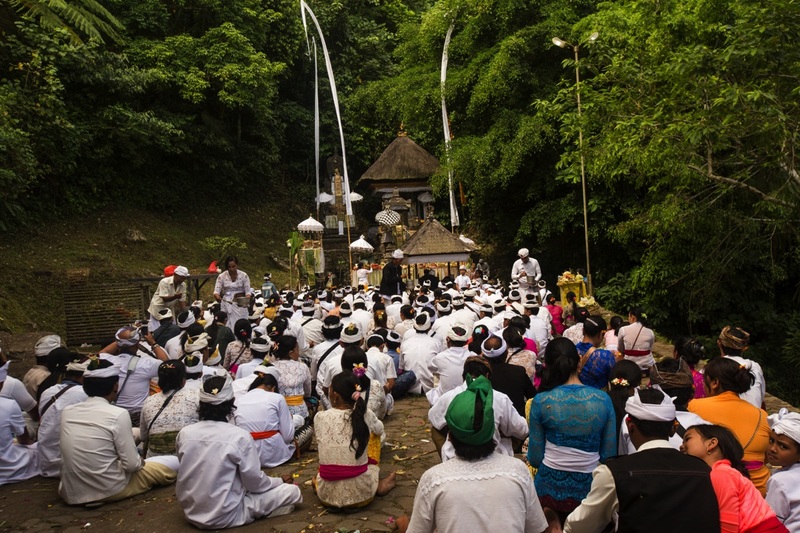 The Lempuyang moutain is divided in 3 sections according to the Hindu cosmology. 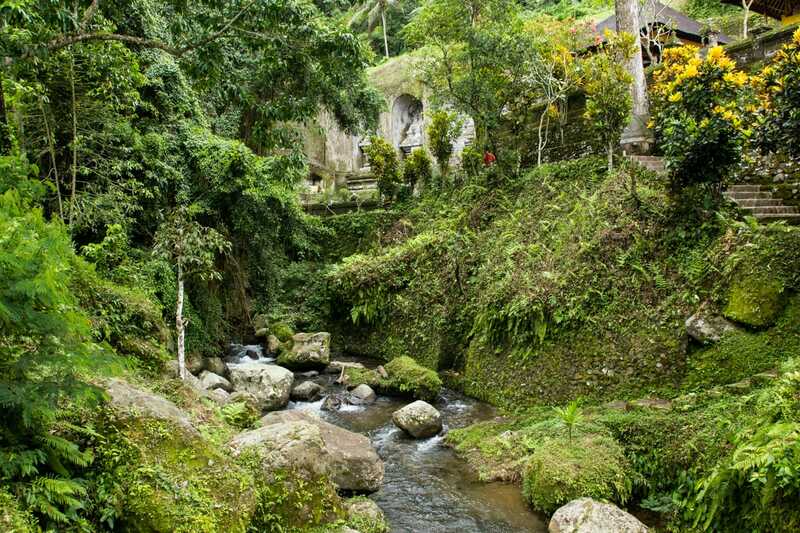 The base of the moutain is the domain of Brahma, the middle section Vishnu’s and the summit Shiva’s. Behind the main compound, you have a secondary temples reachable by walking 20 minutes (ojek are also offering rides). 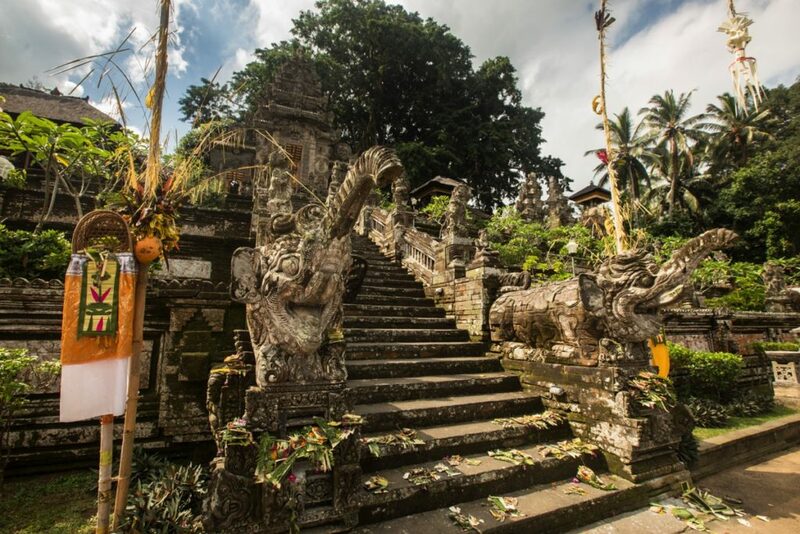 From there you stairs go into the forest and lead to 5 other temples. 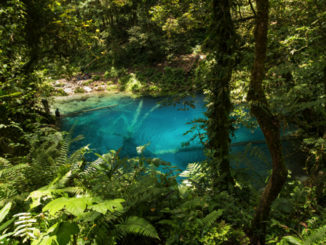 It takes a few hours to close the loop. 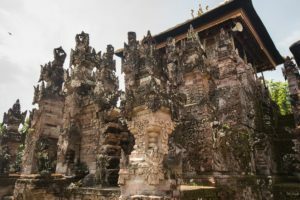 The other temples are much less interesting from an architectural point of view and I’m not even sure that they are open everyday. A ceremony is held every year in any temples to celebrate its anniversary : the odalan. 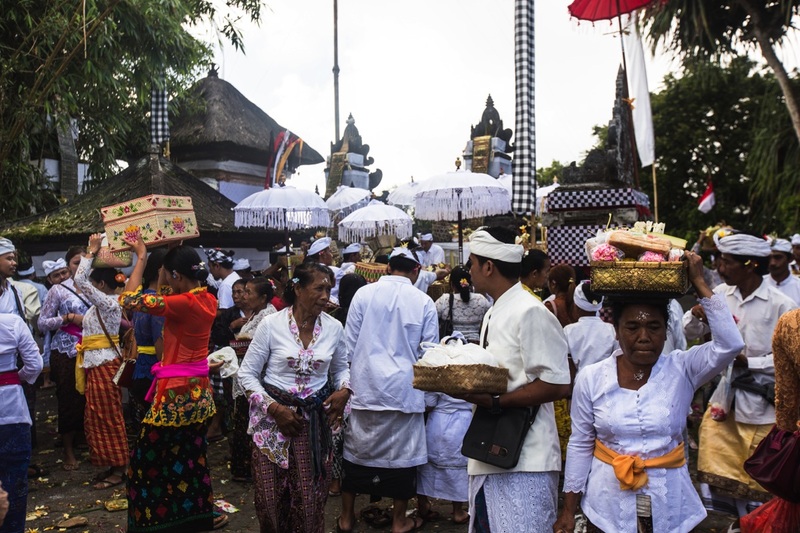 On this occasion, Balinese with a personal link to the temple will visit to pray and bring offerings. 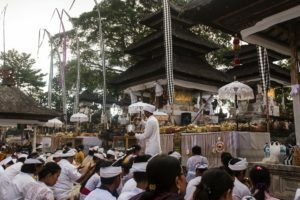 I attended the odalan of Pura Lempuyang in March 18. This odalan is always on the day following Galungan festivities (manis Galungan). 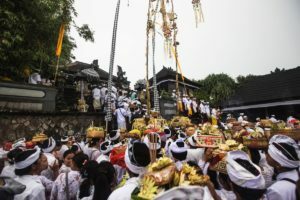 In order to attend the celebrations you will need to wear the ceremonial outfit (at the very least a sarung and a selanjang, but I advise that you also wear a white shirt for men and a kebaya for women just to blend in). I advise you to come with a group of Balinese. 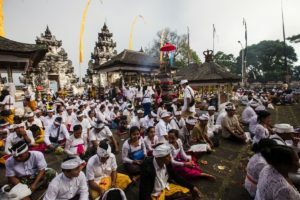 You’ll have to queue at each temples because the capacity is limited. 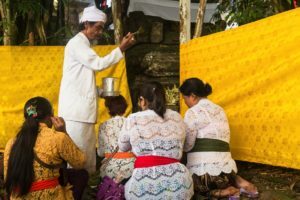 Hence a batch of people are let in, the the priests will lead a prayer (about 15minutes). 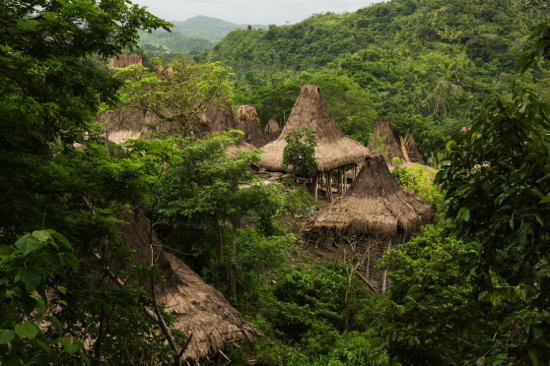 When it’s done, people leave the area and new people are let in. Then the procession goes on again until the summit. 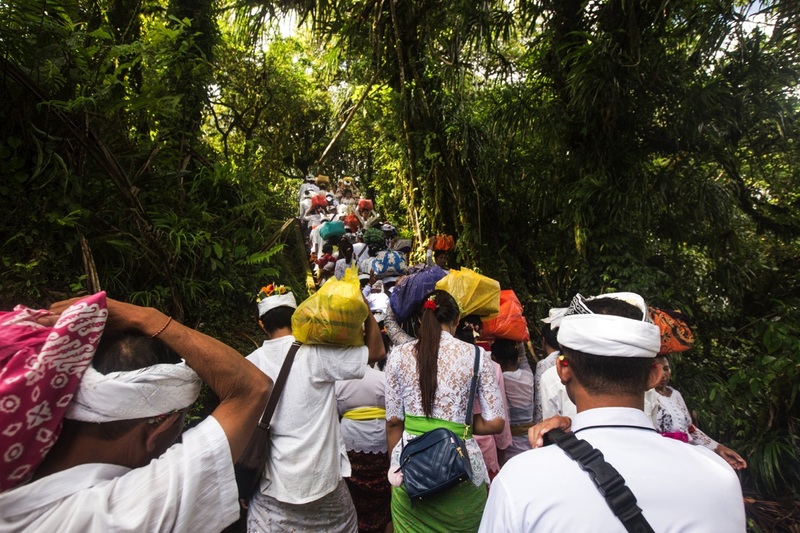 Everyone climbs, including children and elders. 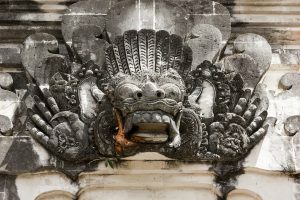 Beware of monkeys who can be quite aggressive to steal you food. 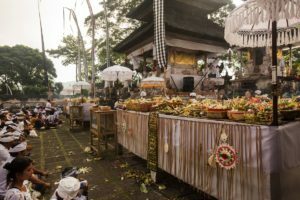 There are food stalls all along the path. 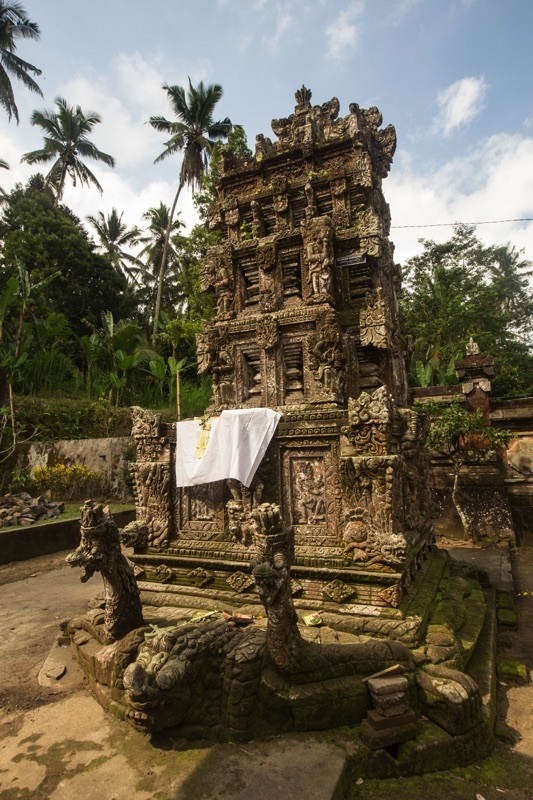 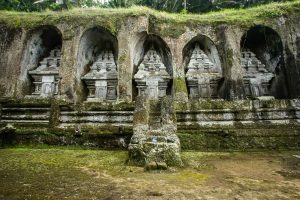 It is easy to confuse this temple with the other Pura Gunung Kawi located in the nearby Sebatu village. 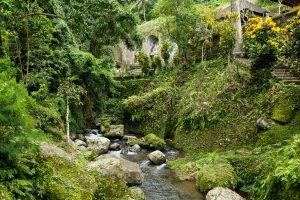 The one I’m refering here is Gunung Kawi Tampaksiring. 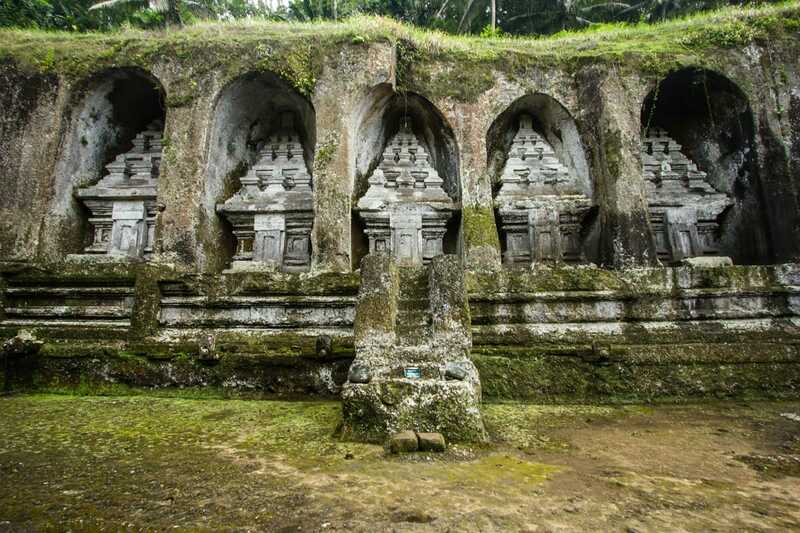 It features huge statues carved into the cliff and a few smaller temples in the hills. 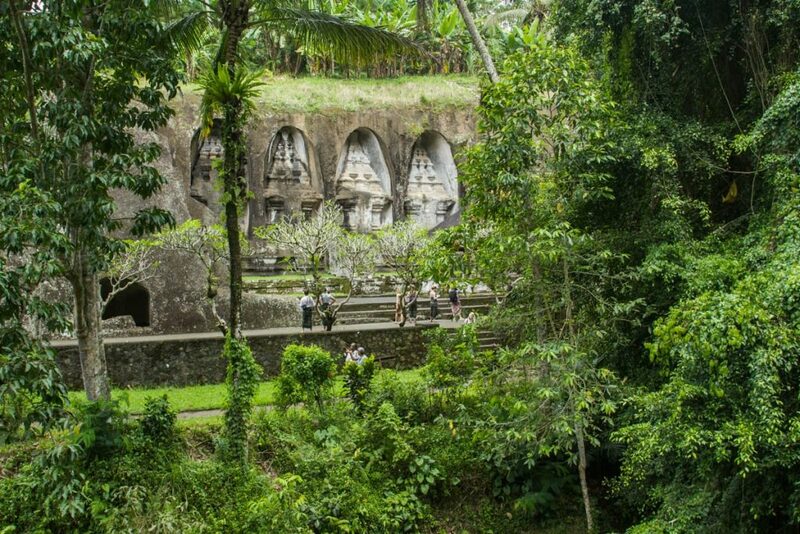 This is one of the oldest site in Bali. The entrance is 15,000Rp per person (plus a small parking fee, I forgot how much). 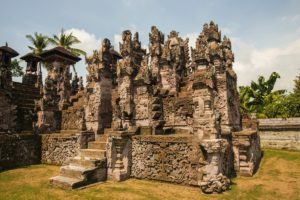 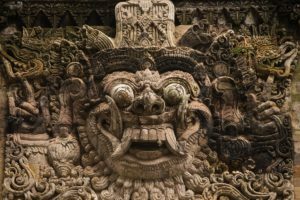 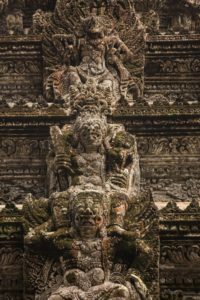 Located in Bangli regency, the front part of Pura Kehen is one of the best-looking of all Bali’s temples in my opinion. 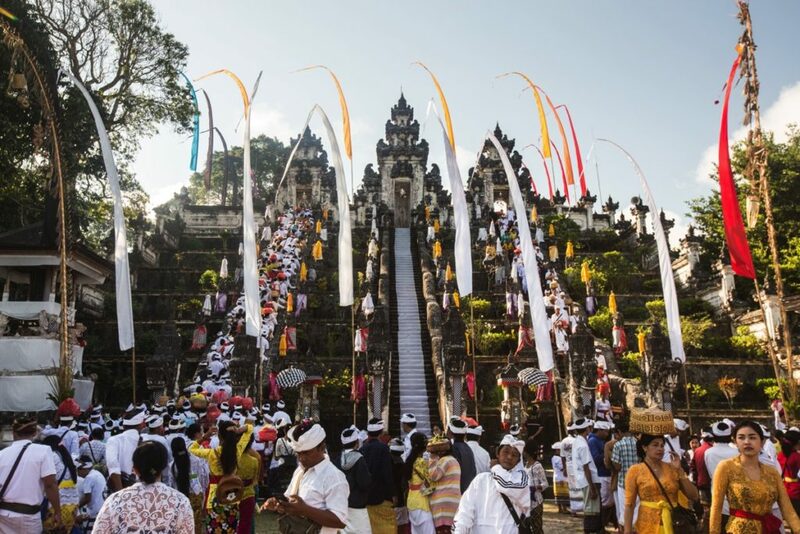 The entrance fee is 30’000Rp for foreigners. 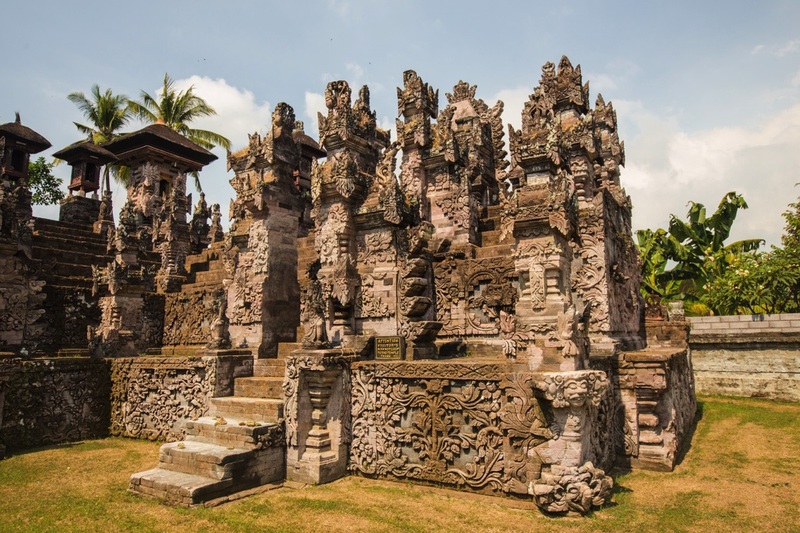 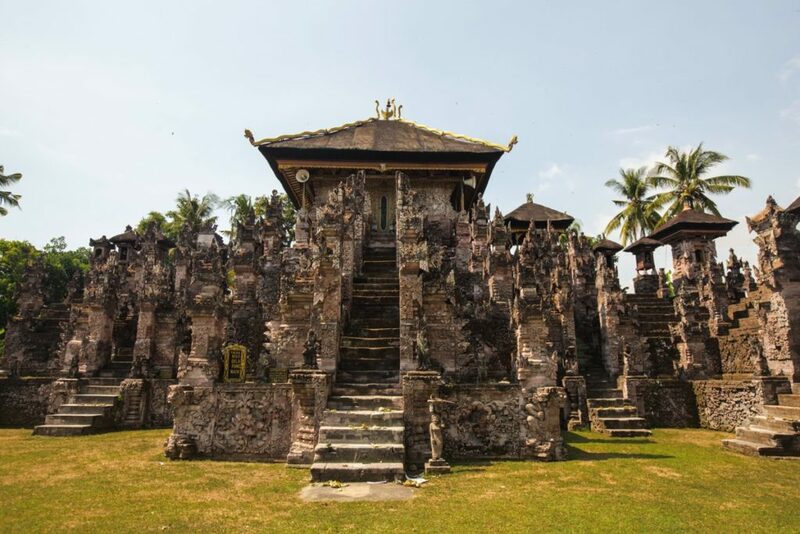 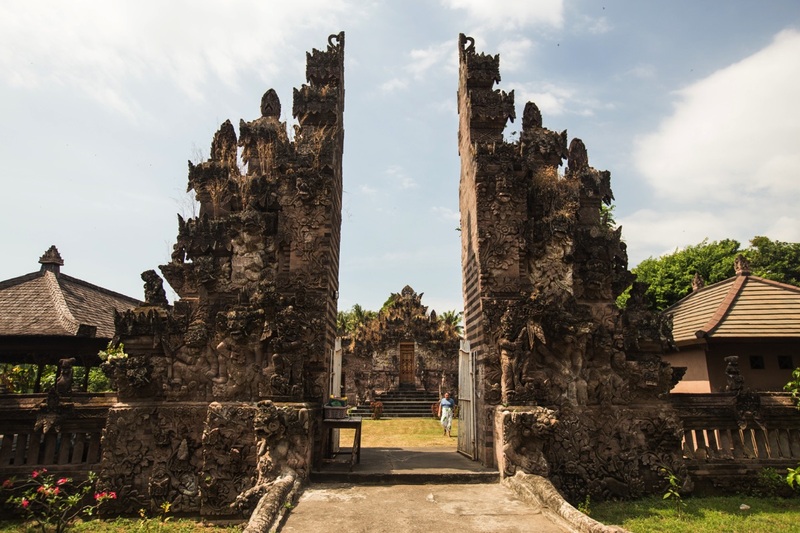 Located near Singaraja in Buleleng regency (North of Bali), Pura Beji has a very singular architecture. 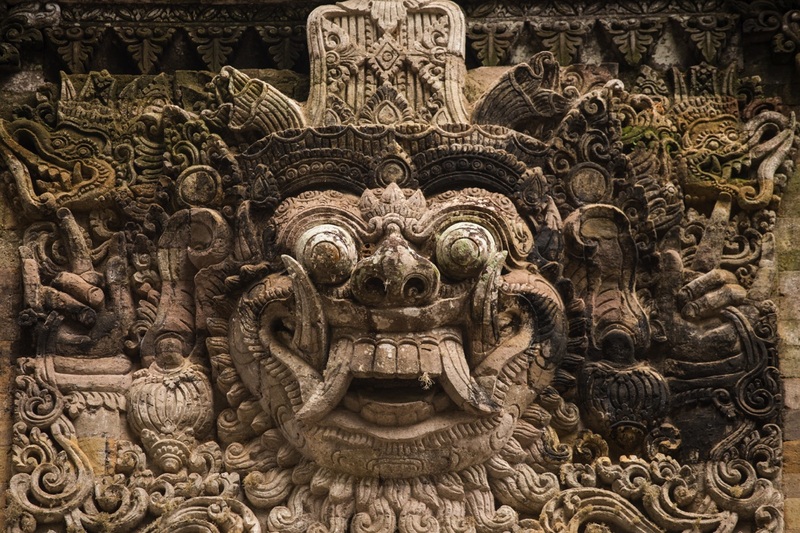 Entrance fee : free donation.